If there is one thing that a doctor will always tell you, it's to avoid letting your condition affect your happiness or your ability to do the things you love. Orthopedic surgery can greatly enhance your quality of life for years, even decades, and you can begin to feel more mobile and capable of doing the things you used to. However, depending on your specific case, surgery can be painful, require an extended healing period, and even make rehab necessary. If you're considering orthopedic surgery, below are four important things you should know beforehand. What is the reason for the condition? Can this get worse over time? Are there any changes I should make that will help my condition? Not only will these questions help you better understand what you are dealing with, but they can help calm you down if you are getting upset. Orthopedic surgeons don't want patients to jump straight to complex procedures. The first level of treatment for aching joints includes over-the-counter pain medications, and your doctor can suggest which are best for you. Another common remedy is steroid injections, which help relieve pain. However, these are short-term treatments. Depending on the severity of your condition, your doctor will determine if you need to undergo surgery right away or if you have time to wait. Because this type of surgery can take a while to heal from, go over the specifics with your doctor and ensure that you can dedicate the necessary time to the surgery and recovery process. Rehabilitation is a crucial part of the healing process and plays a vital role in helping you get back to your daily activities. Your doctor may recommend a physical therapist and inform you how many days a week you need to attend. By following the doctor's advice, you'll see the best possible outcome for the procedure and give your body a proper recovery. Undergoing and recovering from orthopedic surgery can be a serious and lengthy process. 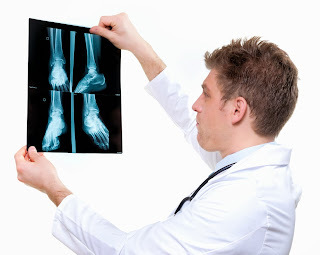 You should speak to an orthopedic surgeon in Oklahoma City so that you have the most complete knowledge on the subject, both before and after the procedure. That's true! before considering surgery we should keep in mind the following points mentioned above, as orthopedic surgery is one of the surgery concerned with conditions involving the musculoskeletal system. I have been viewing reviews of Sonu Ahluwalia MD , he is an internationally renowned physician and medical expert who currently serves as the Clinical Chief of Orthopaedic Surgery at Cedars Sinai Medical Center in Los Angeles, California. I want to collect more on orthopedic surgery so will be looking more and thanks for sharing this.